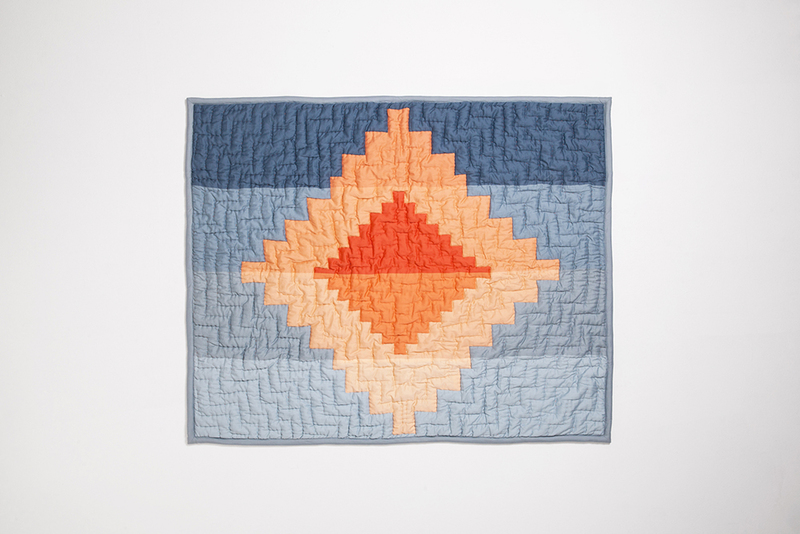 Winnipeg artist and designer Kenneth Lavallee's cotton quilt reinterprets the traditional First Nations star blanket in this understated take on the classic motif. Montreal designer Zoë Mowat offers a geometric take on the traditional desk in this colorful, sculptural piece. Designer Tomas Rojcik—one half of the studio Normal Goods—distilled the form of the clock to its most elemental features, executed in painted steel. Winnipeg designer Matthew Kroeker put his spin on the form of the Windsor chair in this steam-bent beech piece that comes in white-wash and black finishes. The collection's most affordable entry—at just $14.99 CAD (about $11 USD)—comes from Quebecois design duo Six Point Un, who created a palm-sized bottle-opener in solid oak that comes in a natural or blue finish. Toronto industrial designer Dylan McKinnon's black metal candle holders come in three configurations: tea light, single candle, or candelabra. Self-taugt designer Shawn Place draws inspiration from a wide range of influences—including Danish modernism, West Coast First Nations art, and LEGO—in pieces like this solid walnut glass-topped table. Thom Fougere only founded his eponymous studio in the fall of 2015, but he already makes a strong showing in the collection with a solid beech stool that comes in counter or bar height. The lone expat in the collection, New Yorker (by way of Calgary) Anthony Frank Keeler created a chrome-plated steel mirror with solid oak base in two shapes: arc and trapezoid (pictured). Toronto multidisciplinary design studio M-S-D-S created a solid beech ladder-style rack for a slim storage solution.